BANGKOK (AP) -- Markets in Asia are mostly lower after a lackluster day of trading on Wall Street. Mixed signals on the progress of China-U.S. trade talks also revived caution in Chinese markets. 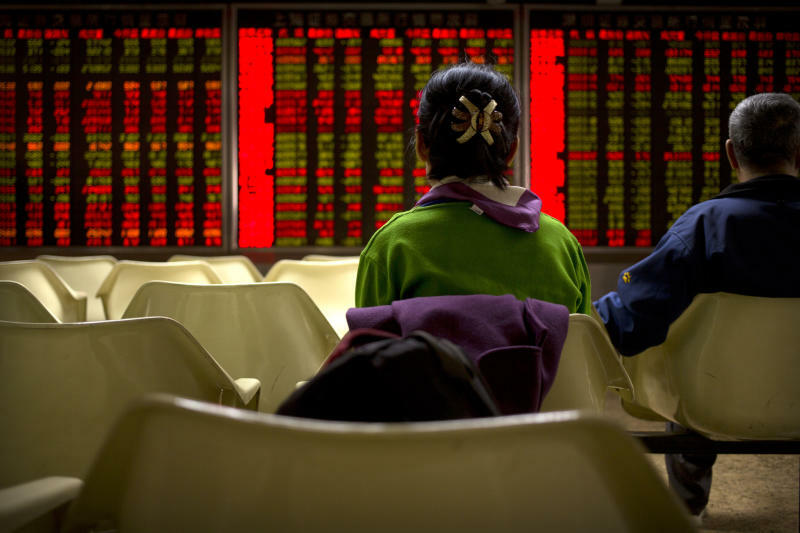 The Shanghai Composite lost 1 percent to 3,059.17 in early trading Wednesday and Hong Kong's Hang Seng fell 0.5 percent to 29,318.53. Japan's Nikkei 225 index edged 0.1 percent higher to 21,577.82, while the S&P ASX 200 gave up 0.1 percent to 6,177.50. South Korea's Kospi sank 1.1 percent to 2,154.23. Shares were higher in Taiwan, Thailand and Indonesia but fell in Singapore. Investors are looking ahead to the Federal Reserve's interest rate policy update due later Wednesday. The central bank has signaled that it will be "patient" in raising interest rates. Banks accounted for much of the decline, along with utilities and industrial companies. Those losses offset gains in health care, technology and consumer products stocks. The benchmark S&P 500 ended barely lower, losing less than one point to 2,832.57, its second loss over the past seven trading days. It's still up 13 percent so far in 2019. The Dow Jones Industrial Average dropped 0.1 percent to 25,887.38. The Nasdaq composite gained 0.1 percent to 7,723.95, while the Russell 2000 index of smaller-company stocks gave up 0.6 percent, to 1,554.99. More stocks fell than rose on the New York Stock Exchange. Major indexes in Europe finished higher. Treasury Secretary Steven Mnuchin and U.S. Trade Representative Robert Lighthizer will lead the delegation, Trump administration officials said. The sources spoke on background because they weren't authorized to comment publicly. The scheduled talks suggest the two sides believe they can make at least some progress, though they're taking place at a time when administration officials had previously hoped to sign an agreement at Mar-a-Lago, the president's Florida resort. Business lobbyists say an agreement now probably won't be reached until late April. CURRENCIES: The dollar rose to 111.59 Japanese yen from 111.40 yen. The euro slipped to $1.1346 from $1.1351 on Tuesday. ENERGY: Benchmark U.S. crude oil lost 16 cents to $59.13 per barrel in electronic trading on the New York Mercantile Exchange. It gave up 9 cents to close at $59.29 a barrel on Tuesday. Brent crude, the international standard, slipped 3 cents to $67.58 a barrel.